A number of hospitals have had to enforce rolling theatre closures due to staff shortages, it has emerged. It comes as the HSE has ordered a recruitment freeze for up to three months unless hospital managers outline their costed employment plans. HSE executive Liam Woods wrote to hospital groups last week warning of the need to control recruitment in order to operate within its budget. Several hospitals continue to be hindered by staff shortages and are having trouble getting essential staff. A spokeswoman for St James's Hospital in Dublin confirmed yesterday it has had to bring in rolling theatre closures due to staff shortages. She said that "closures are as a result of deficits in staffing numbers", adding: "It is primarily nursing vacancies. "But as we progress the recruitment into these vacancies, there is also an identified deficit in consultant anaesthetists, which requires the need for some closures." She explained that "closures are calculated based on the staffing levels required to safely run each operating theatre". Other hospitals are also experiencing the same difficulties at a time when around 70,000 patients are on a waiting list for surgery across the country. Hospitals have tried to resume significant levels of surgery on waiting-list patients in the past two months after activity had to be reduced due to the need to keep beds free as a result of the trolley crisis. 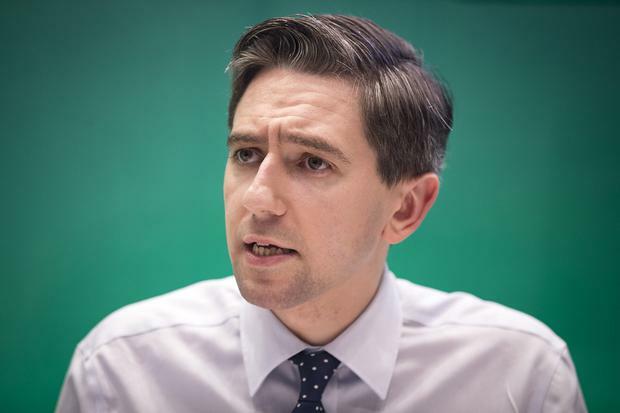 Health Minister Simon Harris said yesterday that managers needed to submit recruitment plans and once they were agreed, they could proceed with hiring. The HSE, which has a budget of €16bn this year, was €655m over budget last year. Its levels of hiring were above the allocated budget. Meanwhile, the Irish Nurses and Midwives Organisation (INMO) representing 40,000 nurses, has warned they face "a strong risk" of penalties worth up to €4,000 per staff nurse over two years if they go back on strike. The sanctions include a nine-month delay in pay rises and an increment freeze. In a message recommending they back a new higher-paid contract, the INMO warned that voting no would also mean they lose a host of benefits in a proposed new deal. "Your executive council will have to look at other ways to progress our claim," it says. "If we lodge a pay claim with the Government or go on strike, there is a strong risk that we will incur the penalties, which include suspension of increments until the end of 2020, a nine-month delay in annual pay increases, reduced pension relief due in January 2020 - postponed." The estimated cost of penalties could be as high as €4,000 over two years for some staff nurses.